Hard to find. There is no sign at the entrance. We passed it and went miles out of the way to turn around. We are a towing motorhome and cannot back up, so we needed a large are to turn around in. Once there, the clubhouse and other facilities are extremely nice. A beautiful office and store. The laundry had only one washer. There is almost no television. The internet was sketchy, even with a Winegard booster on my motorhome. Hulu would not stream through my Roku. As for the antenna, there were about five stations. There was no cable. If you want any quiet, forget it. There are about 30 children running around screaming and playing. They are in a summer program of some sort. The biggest problem was the staff. Although the office personnel were nice, camp workers spent about 3 hours pressure washing their vehicles less than 40 feet from my camper. The employees drove their vans and dump trucks up and cleaned them one after another with the pressure washer continuously running. This went on until about five o'clock. I told them in the office and they did nothing about it. All in all, a nice facility that couldn't care less about us as campers. They make their money in other ways and I got the impression that campers were a nuisance to them. Stayed two nights and there isn't much to visit in the area. Staff are friendly and restrooms were being cleaned often to prepare for busy holiday weekend. However, they allowed renters to arrive after 10pm and loudly set up and kids screaming and playing til past 1am. We travel with our respectful kids ages 11&13. Thank God for the rain storm to get them inside and to bed. Nice Campground but noisey. Dogs were barking up to 10:00 pm. Called the number to report it & nothing happened!!!! Finally got up & went outside & screamed at the dogs that were tied outside!!!!!! They continued to bark till the owners of the dogs brought them inside!!!!!!!???? 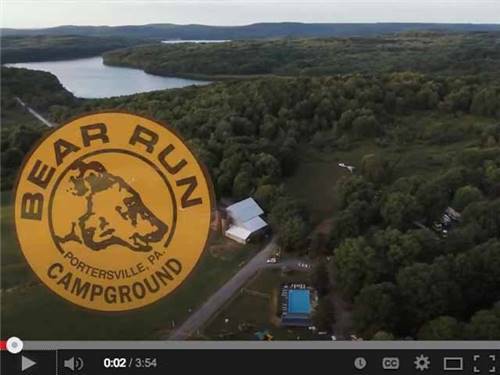 We settled on Bear Run Campground as a good place to set up for a week, but did not make reservations in advance. The campground is conveniently located within a mile of I-79, but the signage was not very clear and that is not reassuring when you are towing a trailer down a one-lane windy farm road. It would definitely be a chore with a large trailer or RV--ours is only 19 feet and took up a good amount of the road. The campground is crowded right inside the gate and there isn't a place to park while you're trying to check in. The staff member inside the office was friendly while checking us in and let us choose which section of the campground we wanted to be in. Everything seemed to be in order right up until he was going to run the credit card and asked what breed our dogs are. I replied "Rottweiler" to which he stopped what he was doing and said he needed to speak to his manager. A couple minutes later he came back and told me that Rottweilers, specifically, are not permitted in the camp. I don't have a problem with their policy, but their breed-specific ban is not mentioned on their website (we checked in advance) or Facebook page. It only says "pet friendly." The employee was apologetic and gave us the number for another campground up the interstate. The situation was a little embarrassing in front of the group of people that had formed at the checkout waiting on us, and it could have been completely avoided with one line on their website stating which breeds were outlawed at their campground. We had to circle around on the way out and the sites appear very small and close together. The office and store were very rustic and log-cabin themed. We will not likely ever be back or be likely to refer the grounds to others. 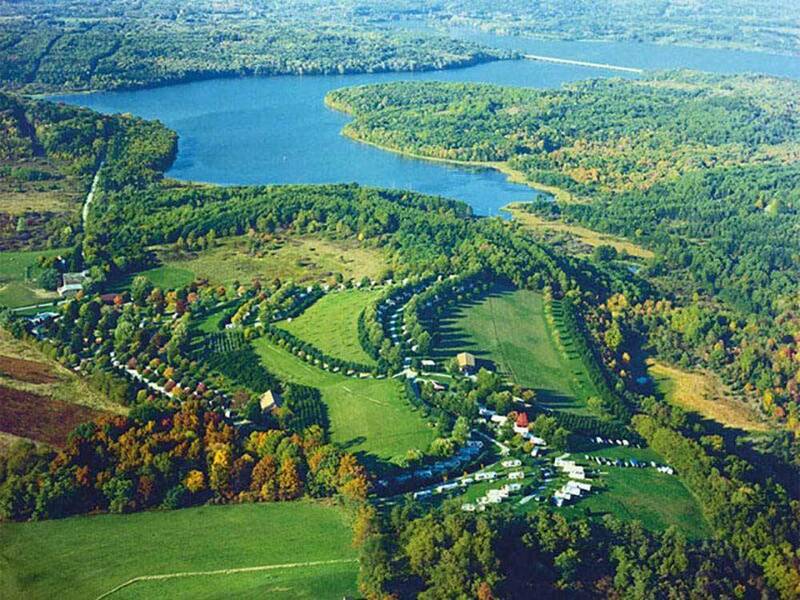 Overnight or short term camping area is small and sites are extremely close together. Terrible signage and hard to find site (they don't even give you a map at check in). 95% of this park is long term units and just a small area for short term stays, like an afterthought. Would not recommend and will not be returning. 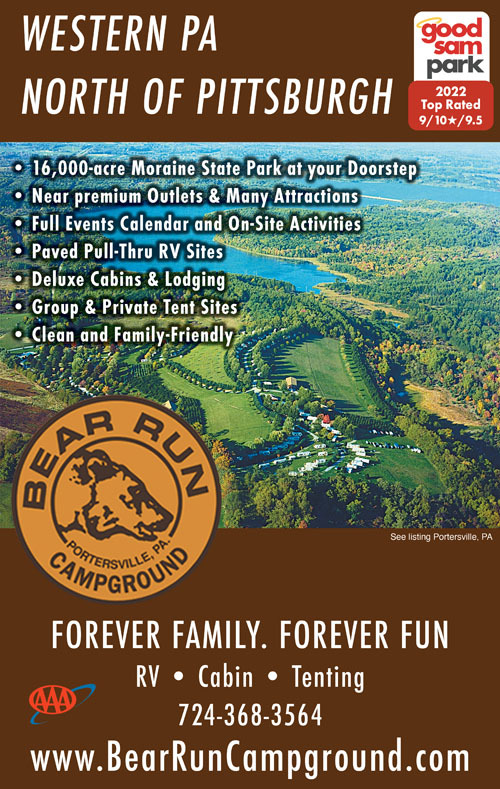 Bear Run Campground borders Moraine State Park with access to McConnells Mill State Park, National Scenic North Country Trail and Jennings Education Center. Kayak and canoe rentals are available at the campground.